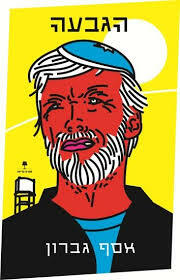 Very little foreign literature is published each year in English translation. According to the University of Rochester’s Three Percent project, only three percent of books published each year in the United States are works in translation, and the numbers for fiction and poetry are miniscule. That’s why, when I come across a work of literature that has passed this nearly impassable bar – translation from a foreign language to English – and it’s terrible, I want to cry and tear my hair out. Because it’s fairly likely that there is some transcendent work of art out there, locked in its original language, that no English speaker will ever get the chance to read. It’s particularly galling when a book translated from Hebrew is so bad, because there are only a tiny, tiny handful of books translated from Hebrew to English each year. Even this year’s winner of Israel’s top literary award, the Sapir Prize – Ruby Namdar’s Ha-bayit asher nekhrav (The Ruined House) – has not yet been translated, and Namdar actually lives in New York. 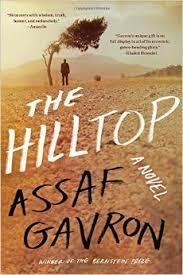 And yet here is Assaf Gavron’s The Hilltop on the front shelf of Barnes and Noble, wasting our time. There are actually two problems with the translation of The Hilltop: one is its unworthiness – it’s at best a mediocre novel – but the other is the translation itself, which is awkward and riddled with non-idiomatic English. For example, this description of Passover: “Leavened foodstuffs were burned, and Seder night passed by with the hilltop residents celebrating the transfer from Egypt, the wanderings, the transient nature of Jewish dwelling places throughout the ages, and their shared consciousness of an exiled people yearning for their homeland.” (Emphasis added) Leaving aside the thematic and ideological heavy-handedness of this passage, which is only Gavron’s fault, any translator worth his salt should know that the process of the Jewish slaves leaving Egypt is popularly referred to as an exodus, not a transfer. I don’t have the Hebrew version so I can’t even imagine why the translator made this choice, but it makes it sound like Moses worked for Boeing and had to move from Seattle to Chicago, not like he was leading the Jewish people out of hundreds of years of slavery. I could offer numerous other examples of this kind of thing, but why waste your time? Likewise, I don’t recommend wasting your time on the rather boring plot, which basically just follows the lives of a bunch of nutty religious settlers in an illegal hilltop outpost in the West Bank. The characters are not particularly sympathetic and seem rather childishly drawn to demonstrate just how three-dimensional nutty religious settlers can be: the teenage girl who has an affair with the soldier guarding the base, the woman who kicks out her lazy, alcoholic husband and starts wearing her hair loose, the formerly secular kibbutznik who lost custody of his son after physically abusing him. I felt like the book kept trying to call attention to how interesting and unusual this seemingly monolithic group of people could be, but the scope of their diversity was so narrow and their personalities so lacking that these artificial quirks did nothing to pique my interest. I do have a few good words for this novel, though. It does one thing excellently: expose the labyrinthine and deliberately extra-legal processes by which illegal settlements in the West Bank are legitimated by the state of Israel. Though technically illegal, the settlement is established and grows through a combination of back-room deals with sympathetic politicians and government functionaries, deception, and legal challenges that delay any action long enough to establish “facts on the ground.” Even after the settlement is nominally dismantled and partially bulldozed by the military on government orders, the novel ends with the settlers’ return to the hilltop, where they plan to rebuild. This exposure of the process of establishing new settlements in the occupied territories is something that would do English-language readers good to know about. Unfortunately, it’s not worth reading the book for.